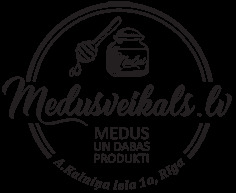 If you purchased products on the www.MEDUSVEIKALS.lv (distance agreement), you can use the withdrawal right to return the products within 14 days upon its receipt. When receiving your products, we recommend checking they correspond exactly to the ones ordered (manufacturer, model, colour, size and other relevant parameters) in order to avoid any disagreements. When using the withdrawal right, you are obliged to return the products to the Medus Veikals (if the item was received) within 7 days after sending a written refusal. The consumer is responsible for preservation of quality and ensuring safety of the products during the execution of the right of withdrawal. This means that the product cannot be used and shall be in its original, undamaged packaging. According to the Latvian legislation, the Medus Veikals will refund you the amount paid for the product as soon as possible, but not later than 30 calendar days upon sending us a written refusal. Delivery costs are not refundable, except where a product does not meet the terms of the agreement.